Competition. A word where every Marketer aims to do better than the rest. With big plans, comes a big shift. The automotive industry is changing rapidly and is taking bold moves to keep up with the latest technologies. Here’s to giving you an insight on the latest updates and plans from automotive companies. We all know that autonomous vehicles are the next big thing. However, we have just managed to enter the electric vehicle phase. This year, Tesla plans to produce the “Model 3” electric cars and to announce on additional “Gigafactories” to produce lithium batteries. If you are unaware of what this “Gigafactory” is, here’s what it is; It is a 5$ billion battery “Gigafactory” plan in the Nevada desert. Yoshi Yamada, top Executive for Japan’s Panasonic also had doubts on this plan and thought it was a crazy idea. However, 400,000 Tesla reservations changed his mind, which naturally will send the project into overdrive as well. 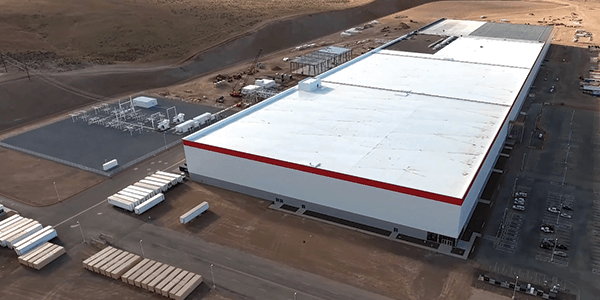 “Later this year, we expect to finalize locations for Gigafactories 3, 4 and possibly 5,” Elon Musk said. Tesla is also aiming to produce driverless technology by 2018 but that also depends if regulators are ready for driverless cars at that time. Meanwhile in India, the government plans to make all its cars electric by year 2030. The change estimates to decrease carbon emissions by 37 percent by 2030. According to citylab.com, the announcement has made waves with the country’s auto manufacturers, who are not equipped for such a radical change. Toyota’s India unit is already pitching towards the government to take a less hurried approach so car manufacturers have more time to prepare for the drastic shift. Other car companies that are looking into manufacturing autonomous vehicles are; Nissan, Ford, General Motors, Honda and many more. Well, looks like many car manufacturers out there are now in the planning process for autonomous vehicles! The future of automotive technology is here, and very near. In Pakistan’s auto industry, at least three new carmakers plans to dive into their market. French Renault was the first to announce on its investment in the Gandhara Nissan plant, bringing their brand into their market. Hyundai and Kia also announce on their notion of going into the market to collaborate with Nishat Group, a local industry giant of all sorts. Car makers who are jumping onto the bandwagon also includes German Audi, Indus Motors of Toyota cars and more. According to Dawn.com, Pakistan being the 6th largest populated country, offers a huge potential for growth to global carmakers. While many automakers are trying to plan and shift towards the future, there are also individuals who are there to compete. Henrik Fisker, an automotive designer and entrepreneur, plans to launch a new electric car company to compete with Tesla. Fisker’s new company aims to produce a battery-powered model aimed at the Tesla Model S. Strong competition ey? As of now, we shall sit back, relax and wait for the future of automotive to arrive. The industry is fast-paced, always changing and shifting. At TOC Automotive College, students are prepared to face the real working world. It is challenging, but always exciting! Who knows? They might just be the next big industry player.